Kent received his Ph.D. in chemistry from Montana State University in 1992. He was an NIH postdoctoral research fellow at Dartmouth College from 1993-95, a research associate at Dartmouth College from 1995-97 and a research assistant professor at Dartmouth from 1997-99. 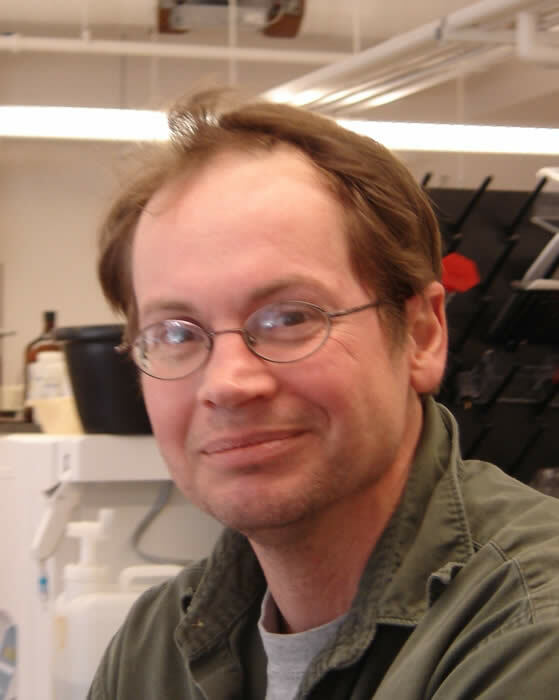 Kent joined the University of Montana chemistry department in June of 1999 where he conducts research in bioinorganic chemistry. My research focuses on the mechanism of interaction of metal complexes with biomolecules that can lead to the formation of genetic aberrations such as mutations, cancer and toxicity. My primary metal of interest is chromium, which in the +6 oxidation state, is a known human carcinogen. One method by which chromium may induce cancer in humans is through oxidative damage to nucleic acids. Our research group is focused on the mechanism by which this oxidative chemistry may occur and the resulting lesions that are formed on DNA that can give rise to carcinogenesis. Ø Little, L.G. and Sugden K.D. 2009 Chromium-Induced DNA Damage and Repair” Metal Complex-DNA Interactions. N. Hadjiliadis and E. Sletten eds. John Wiley and Sons Ltd. pgs 463-489. Ø Covino, J.J. and Sugden, K.D. 2008 “Chromate Genotoxicity” Advances in Molecular Toxicology, James Fishbein ed. Vol 2, pgs 1-24.